Home Jobs & Education How Much Do Hotel Managers Make? Hotel managers are given the duty of ensuring that guests on vacation have a pleasant stay and that the accommodation establishment runs as smoothly and profitably as possible. Hotel managers are typically responsible for inspecting guest rooms or grounds for cleanliness, greeting guests, ensuring standards for guest service are met, answering guest questions about hotel policies, keeping track of hotel budget costs, interviewing and hiring new hotel staff members, evaluating staff performance, and resolving all guest problems efficiently. How much does a hotel manager make? According to the Bureau of Labor Statistics, the 29,730 hotel managers employed throughout the United States are compensated with an annual average hotel manager salary of $54,800, which is equivalent to a mean hourly wage of $26.35. The bottom ten percent in the profession earns $29,290 or less, the top ten percent of hotel managers bring home a mean $89,530 annually. The majority of hotel managers employed in traveler accommodation make $53,780, but those that work in the management of companies earn considerably more than average with a yearly wage of $82,880. The top-paying states for the field are Delaware and Nevada, where hotel managers make a mean $89,280 and $86,250 respectively. More than half of all hotel managers are employed in the traveler accommodation industry, which includes both hotels and motels. Others have found employment at other forms of lodging, including recreational vehicle (RV) camps, hostels, inns, bed and breakfasts, resorts, and boarding houses. Around 40 percent of hotel managers are self-employed by owning their own lodging establishment. Nearly all hotel managers are employed on a full-time basis, but many must work on evenings or weekends and be on call around the clock. Despite the upcoming growth predicted in travel and tourism, fewer hotel managers will be needed as the accommodation industry shifts to building more limited-service hotels with less separate departments that need to be managed. Hotels are also starting to streamline operations and scale back the number of managers in an effort to reduce expenses. As a result, employment for hotel managers is expected to grow slower than the national average for all professions at a rate of eight percent, which will create just 4,300 new jobs before 2020. What Do Product Managers Do? How Much Do Project Managers Make? What Does A Project Manager Do? Hotel vs. Motel: Revisiting Your Options for Rooms of Luxury What’s the Meaning of the Song “Hotel California” by the Eagles? 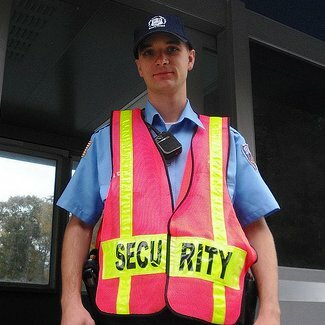 How Much Do Security Guards Make? How Much Do Event Planners Make?